The Loft at Heavenly Village is open 7 days a week from 4 p.m. to 2 a.m., and features live theater, a lounge and dining. Cold Water Brewery & Grill features craft beer, lunch, dinner and Sunday brunch, as well as special events and live music. Mont Bleu Resort and The Hard Rock Casino offer several restaurants, bars and lounges alongside casino entertainment. Feel like dining right on the lake? Riva Grill is open daily for lunch and dinner and has some of the best views around! Or enjoy good German food and bier (along with trivia and open mic nights) at Himmel Haus. Feel like something a bit cozier? Jimmy’s Restaurant (at The Landing) features several private dining alcoves, each with their own fireplace! There are also 5 fire pits on the patio and roof-top deck, which overlooks the lake. Finally, another popular spot is McP’s Taphouse Grill, which has 40 beers on tap and live music Thursdays through Mondays. 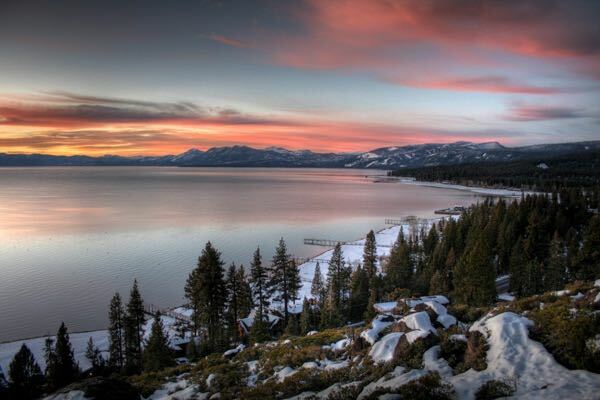 Have your own favorite hot spots in Lake Tahoe? Please share!